Next Friday is Earth Day 2016. Discovery Education has a great Earth Day resource for you to use with your elementary and middle school students. Expedition Earth Day is a free set of resources for teaching students about the world's coral reefs. A 30 minute is the central aspect around which the lessons are designed. Through Expedition Earth Day students can learn about the biodiversity of oceans, ocean biodiversity preservation efforts, and threats to fish in the Atlantic Ocean. 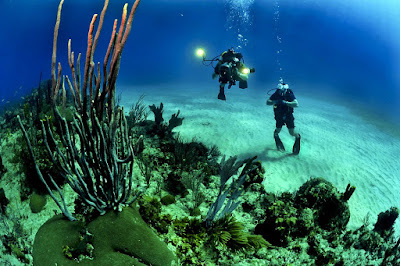 Students will also learn about the differences between coral reefs in the Caribbean and the Pacific. Register on Discovery's Eventbrite page to receive all of the Expedition Earth Day resources. Disclosure: Discovery Education is an advertiser on this blog.